These shrunk down, ramped up versions of Mabef's M-27 and M-29 Field Easels offer the same quality in a convenient, compact package. 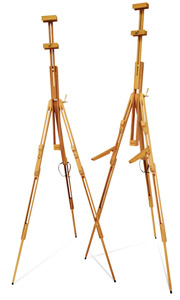 Carefully constructed of oiled beechwood, these portable easels can be adjusted for floor or table use, yet fold up small enough to fit in a bag. 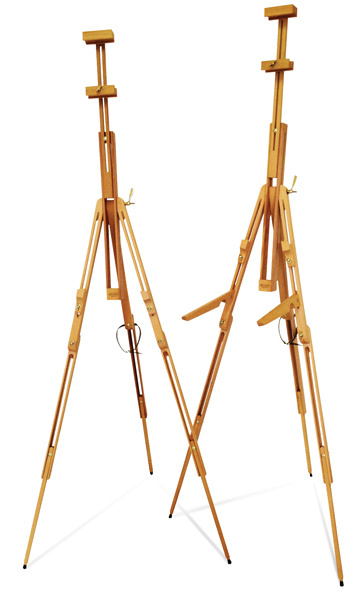 This miniature version on the Mabef M-27 Field Painting Easel is identical to the Basic Mini Field Easel with the addition of two folding shelf brackets designed to support a pastel box.